OnSong ensures that you have the latest user manual for your version and displays it in this screen without the need for an Internet connection. The user manual is built for reading so the content is displayed front and center. Tap on the left and right edges of the screen or swipe to move through the user manual one topic at a time. There are times when you may want to just jump to a topic of interest. Tap on links in the user manual to flip to those sections. The user manual remembers where you've been so tapping on the left and right edges of the screen take you where you'd expect. If you want to choose a specific topic, tap on the table of contents button in the upper right corner to open the Topics Browser. This will allow you to either search or browse wealth of OnSong knowledge in a hierarchal fashion. 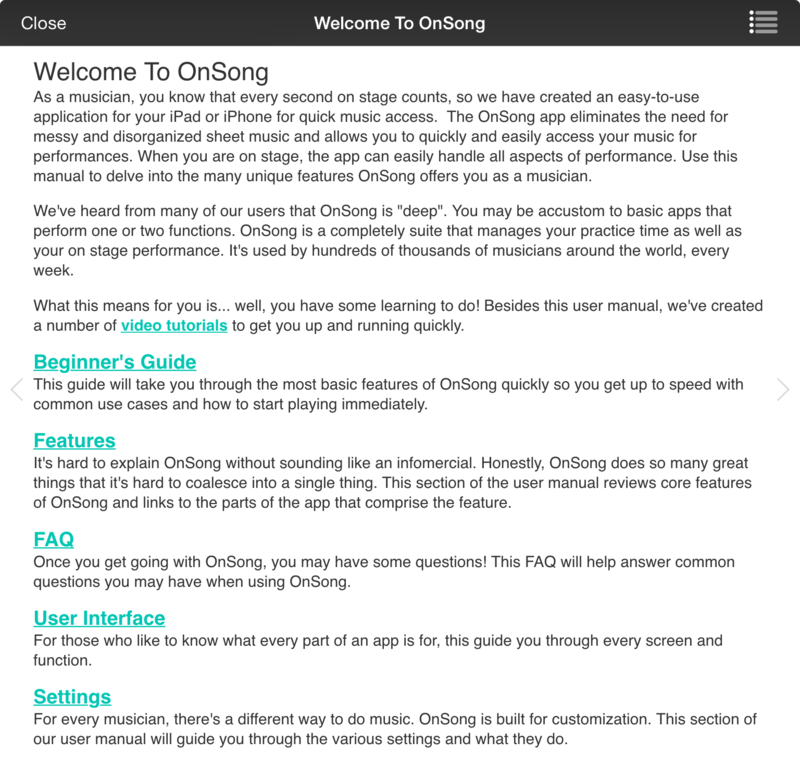 Note: You can also read the full user manual on the OnSong website.